Running a property management business can be hard work. Often you'll find yourself up all night trying to manage and organize all of the features of your business, only to lose paperwork or get frustrated with your property management service software program. There's a better way. You can save yourself countless hours and drastically reduce errors with the Work Force Tracker system – a comprehensive on line software platform that is perfect for controlling the needs of your business. Work Force Tracker is a perfect solution for managing your repair professionals, repair jobs and for providing superior services. It provides support for your entire team, from the office to the field. With Work Force Tracker service software you can better manage the process and increase your bottom line. For you, that means thousands of dollars saved very month. As company providing services for the property management, you have to manage a lot of parallel tasks. Every morning, your repair person get to the office to receive today's schedule, check the inventory for parts and tools, collect any necessary paperwork. To do what they do best, they are spending hours getting organized - manually. Your company personnel are responsible for a lot of equipment, parts and products. You need to know what you worked on, exactly what was done, how long it took, and what materials were used. Work Force Tracker can provide all of that, and make managing the rest of your electrical business - from scheduling to invoicing - easier too! Eliminating the paperwork in your Plumbing service business with Work Force Tracker allows you to be more efficient. In a competitive business, time is money. Use The Work Force Tracker Solution to help you be more productive, generate more profit, and actually have some "time off." 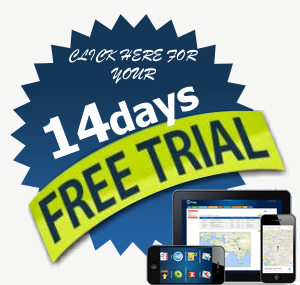 Work Force Tracker truly is service management software for the Plumbing industry. Work Force Tracker for Residential and Commercial Services provides various big and small repair businesses a complete, end-to-end field service solution based on mobile technology, social collaboration and cloud computing. Work Force Tracker customer's benefit from the powerful and efficient field service capabilities and the most effective technician tools that help them delight customers on every visit. 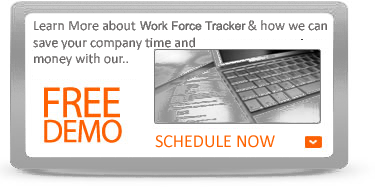 If your business could use a boost in service revenues here is how Work Force Tracker can help. 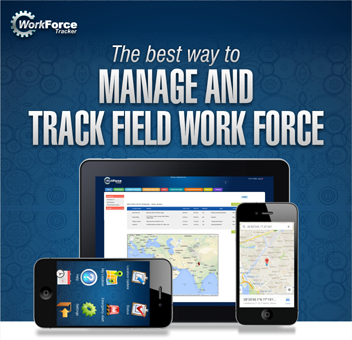 Work Force Tracker replaces the clipboard and paper work order with our field service software. It all starts with the "field data collection". Our solution includes field service software from the start (it's not an add-on! ), because we understand the value in good information from the field. Tracking time and materials accurately and in real-time allows you to bill accurately (stop leaving money on the table!) and help you manage field work based on productive time. Invoicing becomes easier too, and takes less time. Work Force Tracker uses information captured on each work order in the field to make billing 100% paperless. You can also set up recurring invoices for monitoring contracts to run automatically. Our QuickBooks interface, or our Sage Peachtree and Simply Accounting interfaces, make invoicing happen regularly and quickly. No more double entry, no more mistakes that go uncorrected due to paperwork.